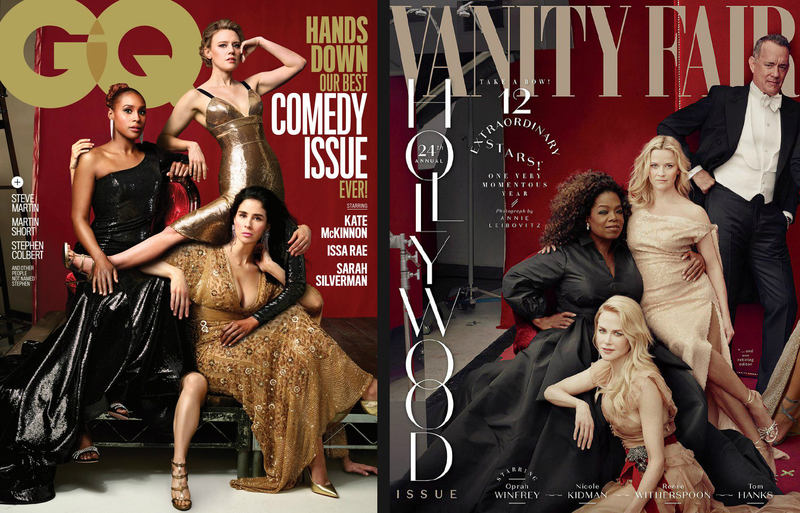 Vanity Fair’s viral 2018 Hollywood portfolio cover, which left Reese Witherspoon with three legs and Oprah Winfrey with three hands, is a living example that photo edits can truly go out of hand. To commemorate the fateful day when the world teamed up to laugh at these errors, GQ’s latest ‘Comedy’ issue spotlights three notable female comedians with extra limbs. In a high-glam shoot mimicking sister publication Vanity Fair’s cover, Kate McKinnon’s disjointed leg sprawls over Issa Rae’s lap, Sarah Silverman’s third leg takes center stage, and mysterious hands pop up in physically impossible places. Before anyone could say anything, GQ acknowledged the blunders, apologizing for going against its own editorial guidelines. Cheekily, the magazine also assured that it will be running an “internal audit” in hopes of becoming more transparent, and will release the results of the assessment in secrecy. Take a look at the two covers below. Have you noticed anything out of joint? Hands down best GQ ever. You have a leg up on all others.